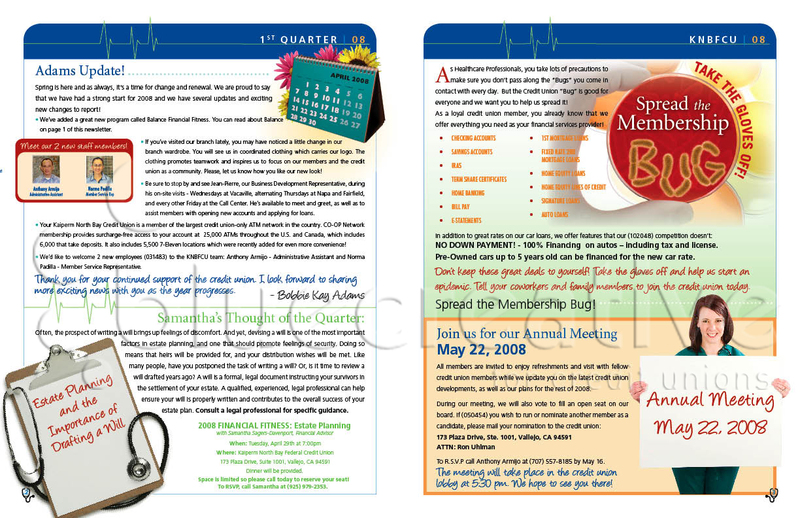 Here are a couple of our most recent newsletters. credit union through the name, the design, and the copywriting. we can work with your existing design as well! 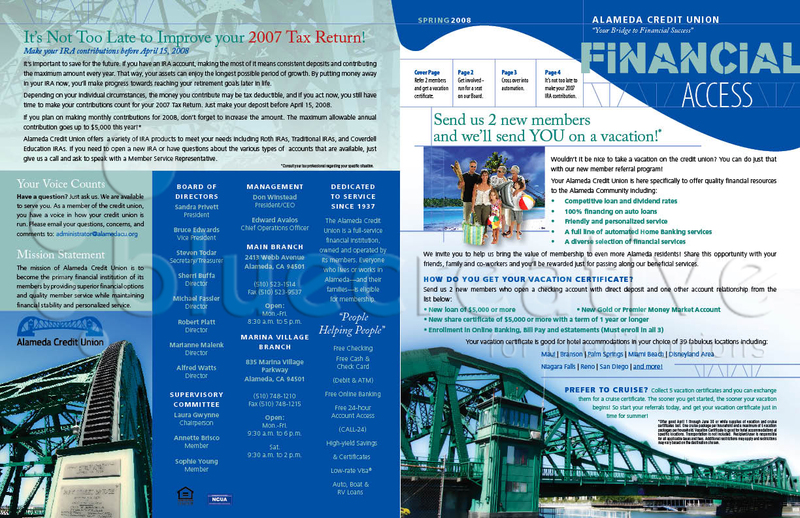 Alameda Credit Union - This community credit union is in a town that identifies strongly with a particular bridge in the area. 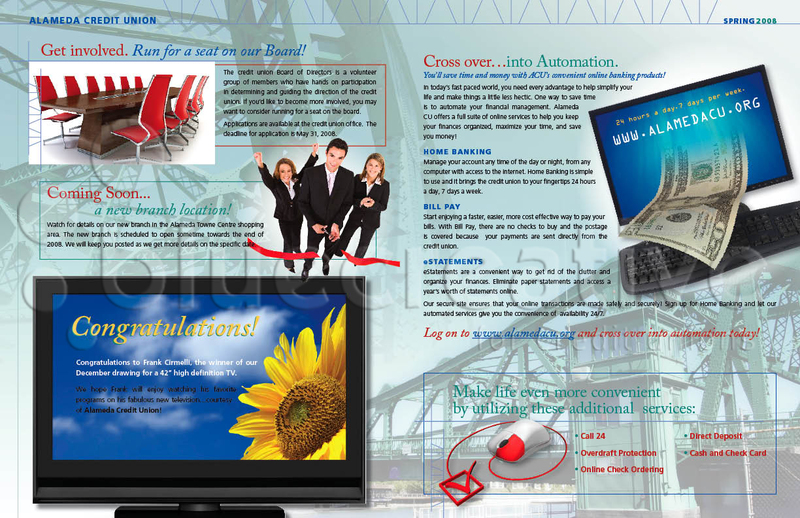 We were able to get amateur pictures of the bridge and we used them as a backdrop for the newsletter. The copywriting emphasizes the bridge theme when possible. Kaiperm North Bay Federal Credit Union - This credit union has a single sponsor - specific locations for Kaiser Hospital. 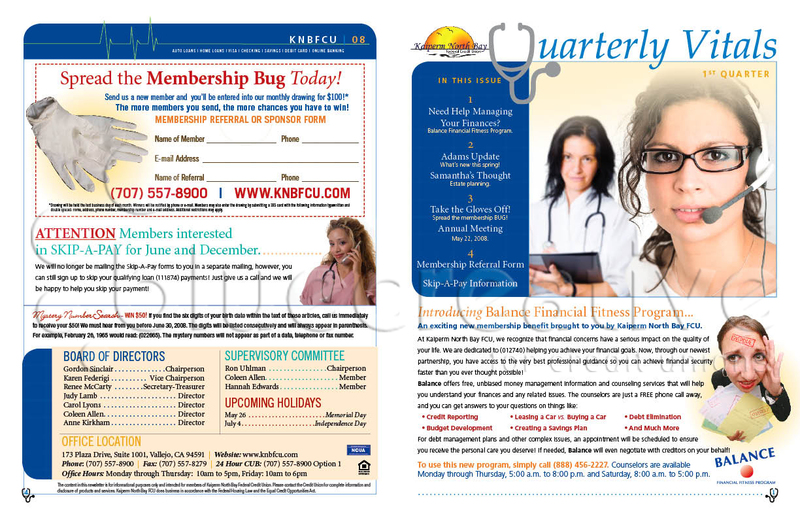 Our goal with this newsletter was to build on a health care theme, using copywriting and images that appeal to health care workers. Please contact us for more examples or with any questions you may have! 2007©Blue Creative. All rights reserved.